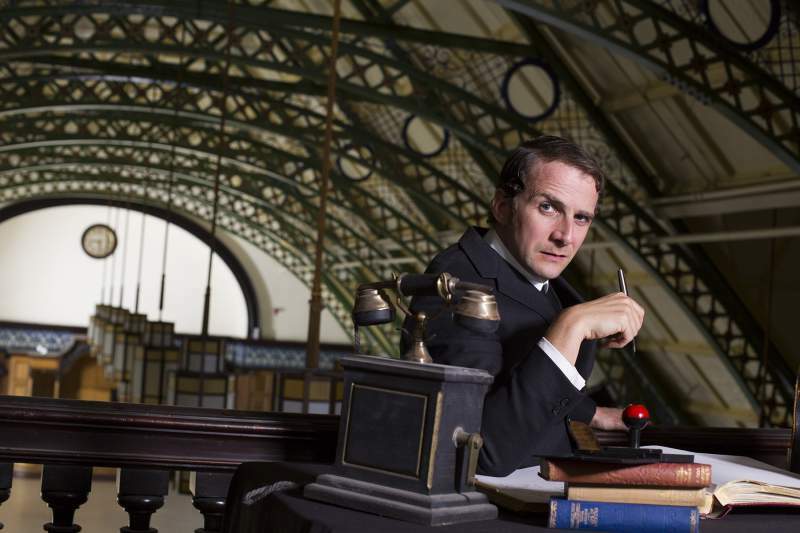 A classy affair is on offer at Northern Stage, where their adaptation of A Christmas Carol threatens to surpass the very best version (The Muppets Christmas Carol, obvs). Taking Dickens’ tale of greed, ghosts and superstition back to the jazz age, in a Gatsby-meet-Peaky Blinders styled show set in the 1920s. Plus, the classic story features a jazzy soundtrack courtesy of Hannabiel Sanders (Saturday 1st December-Saturday 5th January). At Newcastle’s Live Theatre indulge in some healthy competition with Christmas Mixtape’s part sketch show, part music quiz (Wednesday 5th-Saturday 8th December). The perfect night out for music and comedy lovers alike, expect sketches inspired by classic Christmas songs and be in with a chance of winning the coveted Golden Mixtape. Also at Live, there’s laughter, turkey, tears and sarcasm, as four local playwrights offer up wry, funny and alternative tales of the festive season in Christmas Crackers. Expect a drunken Santa, family secrets, TV scheduling fails and a pigeon in a chip box… (Thursday 13th-Saturday 22nd December). A multitude of original voices can also be heard at Alphabetti’s Christmas Cabaret from Tuesday 18th-Saturday 22nd December, as writers Michael Brown, Mhairi Ledgerwood, and Rich and Christina Dawson provide tales of a dog that needs a knee replacement, work Christmas party disasters and loneliness at Christmastime. Sage Gateshead have teamed up with the Curious Arts team on Wednesday 19th December for their Curious Winter Cabaret, which sees multi-award winning drag artist Alfie Ordinary providing sass and sparkles aplenty in his journey of self-discovery entitled Help! I Think I Might Be Fabulous. Expect off-the-cuff comedy capers from the ever-reliable Suggestibles, who reprise their Impro Pantso show at various venues across the region. The improvisers ensure no two shows are the same, as they take suggestions from the audience to inspire twists and turns aplenty armed with ridiculous Christmas costumes, a jumble of set pieces and far-flung imaginations. (Dates in December: Northern Stage, Newcastle on Thursday 13th and Thursday 20th; Gala Theatre, Durham on Friday 14th; Seaton Delaval Arts Centre on Saturday 15th; Queen’s Hall Arts Centre, Hexham on Wednesday 19th; Arts Centre Washington on Friday 21st and The Cumberland Arms, Newcastle on Saturday 22nd). There’s more improv at Shoe Cake Comedy’s Discount Comedy Checkout at Stockton’s Georgian Theatre on Thursday 13th December, where Phil Smith and Chris Lumb are joined by one-woman sketch group Lois Mills, and award-winning Hull comedian David Smith. Comedy chaos will also reign at Stockton’s ARC, where Catch 22 comedy club stalwart Matt Reed hosts a Beat The Gong Christmas Special on Friday 7th December, where twelve hilarious comedians attempt to beat the gong and win over the audience. More hilarity is on offer at The Stand Christmas Specials from Monday 10th-Saturday 15th December, where Christmas cheer is provided by Tom Stade, Mike Milligan, Zoe, Deage Paxton and host Matt Reed. 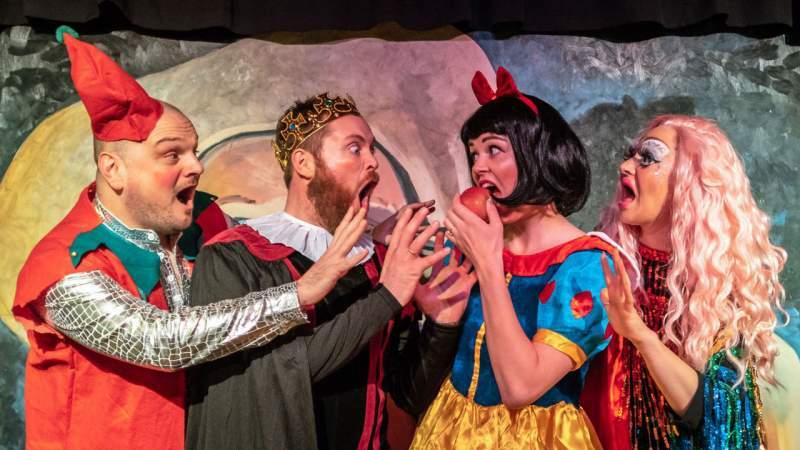 General silliness is also available courtesy of Snow White 2 – Appley Ever After, which runs at the venue from Monday 17th-Sunday 30th December. 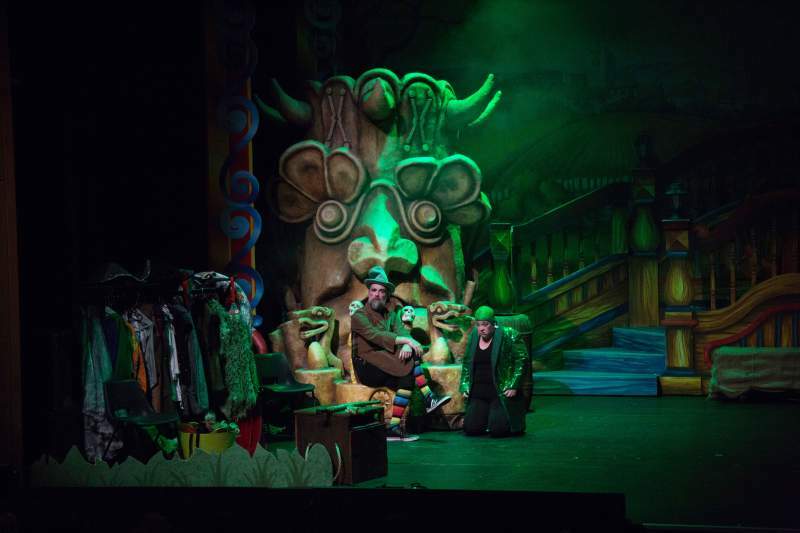 Described as a ‘big daft silly mess of idiocy’, join Katherine Tanney, Hannah Walker, Lee Kyle, Sammy Dobson and Hal Branson in a classic panto with an alternative edge. For the musically minded among you, there’s plenty of festive-themed joy to be had too. Enjoy A Very Special Christmas with Old Muggins, Teesside’s light entertainment combo, at The Waiting Room on Sunday 23rd December; dance yourself silly at Smoove & Turrell’s Xmas House Party at Newcastle’s Boiler Shop on Saturday 22nd December; celebrate a Cuban Christmas with Men With Coconuts and food from Cubanos at Gosforth Civic Theatre, also on Saturday 22nd; have A Very Cobalt Christmas with Moon Rocks at Ouseburn’s most eclectic venue on Friday 21st December, where you can also join Baghdaddies Christmas Party on Saturday 15th. Also on Saturday 15th, at the Ouseburn Christmas Party the team behind Northern Electric Festival bring ambient trio Worry Party, alt. pop duo Badger and smooth electronica artist Xaatu to Kaleidoscope HQ on Stepney Bank, plus there’s house and old school dance vibes courtesy of Tunnel Club, acid techno from Onism and a set from newcomer Shodashoto at The Tanners Arms. Sunday 16th December sees the Monkey Junk Blues Club Yuletide Shindig bring The Sour Mash Trio, Monk Junk themselves, Bob Heron and The Cluny Allstars to the main bar from 2pm for a free show. For those looking for something a little less joyous, Aidan Moffatt and RM Hubbert’s Ghost Stories for Christmas show at The Cluny on Tuesday 11th December will deliver tales of love, hauntings and pagan festivities. A Dark Dark Christmas returns to Georgian Theatre on Saturday 22nd December, where alt. hip-hoppers Ceiling Demons, Americana-edged indie band The Broken Broadcast and alt. rockers Swears will serenade you until late; or, on the same night, have A Sad Christmas (ahhhh!!!) courtesy of Sad For Life Records when post-grunge experts Heel Turn and Hartlepudlian alt. rock quartet Leopard Rays perform at Skin & Needles in Middlesbrough. Avoiding gift shopping is basically impossible, but we advocate grabbing something special made by local artists. Craft and gift markets abound throughout the season, and our favourites include Star & Shadow Cinema’s Star Bazaar on Saturday 8th December, where artists, designers and makers get together with established creatives like music emporium Curvy Sounds for a regular monthly market showcasing unusual and interesting wares. Also of note is the Orange Pip Christmas Market, which will fill Middlesbrough Town Hall with festive cheer on Saturday 22nd December, including street food vendors, entertainment and quirky gifts made by local artisans. Alphabetti’s Christmas Market on Saturday 15th December will see more of the same, with local sellers, mulled wine and a special Christmas gig from folk pop band Dansi in the evening. Phew! Now, pass me a mince pie!